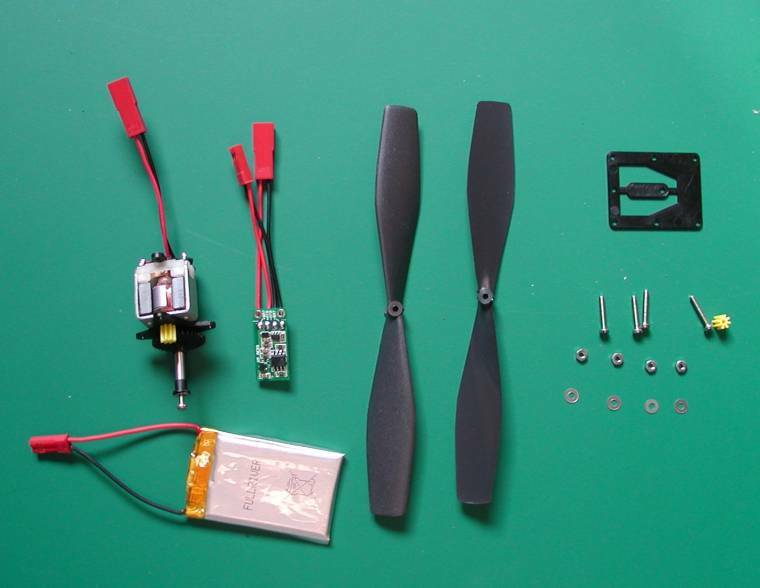 We are suppliers of a range of products for small free-flight and radio-controlled model aircraft. We have motors, ducted fans, batteries, chargers, spare parts and more. Please take a look below for a complete list of product options in our electric flight range. Our 44mm ducted fan unit weighs just 32 grams. Stand alone it can generate up to 60 grams of thrust, with ducting fitted the thrust can be increased to 85 grams. 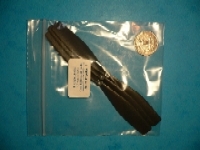 To install this product we recommend you use a suitable 4.8 volt supply. This brushless unit can generate up to 130 grammes of thrust. We recommend powering this unit with a 3s 450 20C li-poly pack (not supplied by us) an ESC and our Time and Speed Controller. 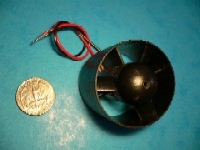 This ø24 fan has a static thrust of 40 grams on 7.5 volts at 3.7 Amperes. The weight is 8.9 grams, the outside diameter is 26.5 mm and it's length is 35 mm. Our smallest motor/gear assembly is the KP00, suitable for models with span between 13 and 20 inches. 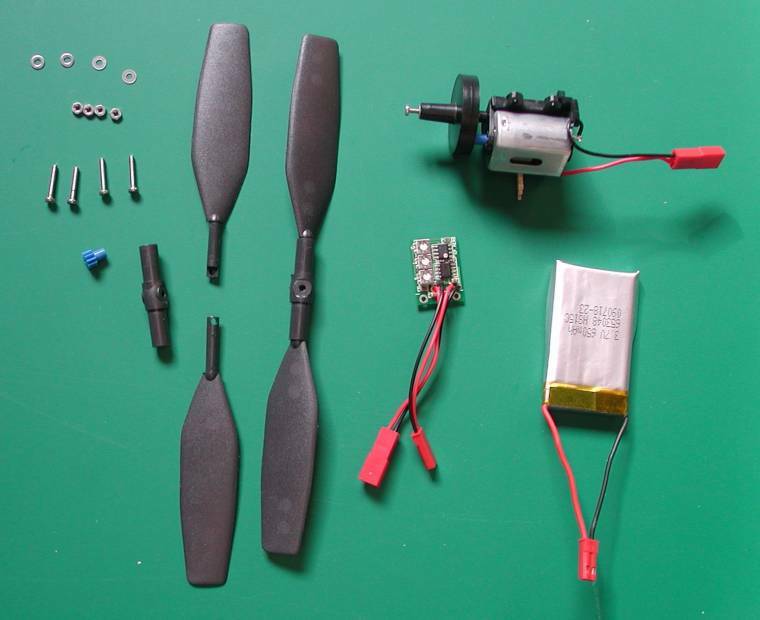 The unit with prop weighs in at just 7 grams and is supplied boxed with three two blade folding propellers, three each of 1.6mm screws, nuts and washers and three self tapping screws. 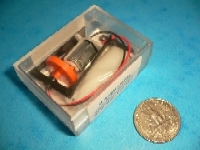 Can be powered by a single 140 or 200 mAh li-poly cell using our brushed time and speed controller item 918 on the list. Four styles of KP00 are available each with a different gear ratio and prop fitting method. Two ratios are available; 2.67:1 and 4.75:1. The prop shaft is either for bolt on or push on props. KP01 is an integrated power unit suitable for 20 to 28 inch span models weighing up to 4.5 oz (125 grams). Two gear ratios are available, 4.25:1 and 6.25:1. The 'with accessories' option includes a single li-poly cell and our low voltage protection brushed time and speed controller. KP02 is an integrated power unit suitable for up to 42 inch span models weighing up to 9.5 oz (270 grams). 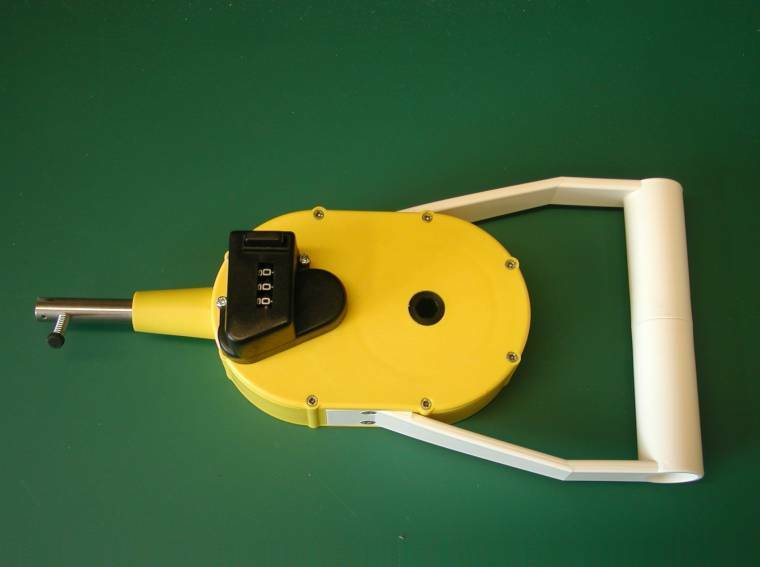 The KP02 motor/gear can be purchased alone or with a battery pack. The 'with accessories' option includes a single li-poly cell and our low voltage protection brushed time and speed controller. 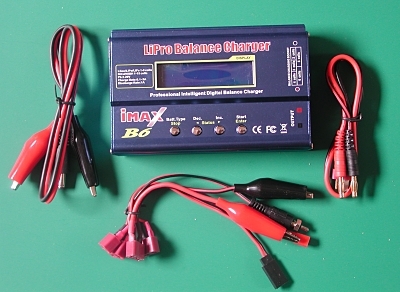 The IMAX B6 Professional Intelligent Digital Balance Charger is suitable for charging LiPoly, Li-Ion, LiFe, NiMH, NiCd and lead acid cells. It's ideal for charging the LiPoly cells used by the KP00, KP01 and KP02 motors. The unit has an allowable input voltage of 11-18v DC and is capable of charging up to 6 LiPoly packs if a 16v supply is available. A range of LiPoly cells between 70 and 650 mAh. 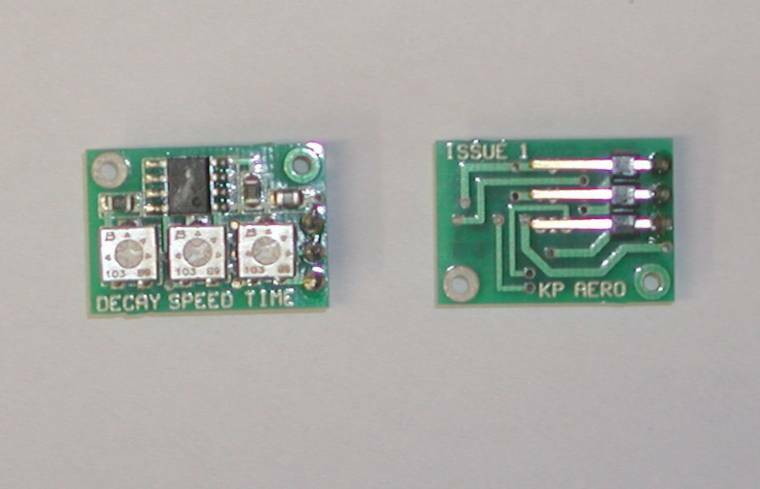 The KP timer controls a motor in conjunction with an electronic speed controller (ESC). Any suitably matching battery, motor and ESC combination can be used, either low power, high power, brushed or brushless. The timer simply plugs in to the ESC receiver lead. Our rubber power range includes a selection of winders and a neat prop button which gives you freedom to control thrust direction. Our latest winder is suitable for larger models. Sturdy construction, smooth running and featuring an innovative dual ratio gearing system that combines 10:1 & 4:1 ratios in one winder. Made from tough high visibility acetal. Our winders are smooth running and are available in three gear ratios; 5:1, 10:1 and 15:1. 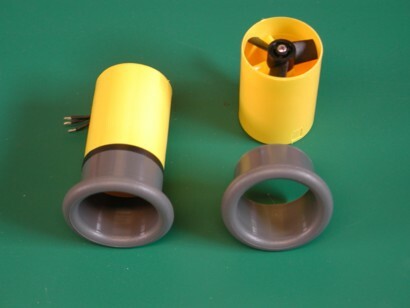 These winders are suitable for smaller and indoor models. 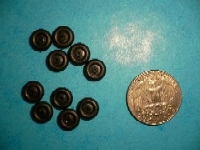 We have three types of prop button available; small, large and adjustable. Small and large come in packs of 10. 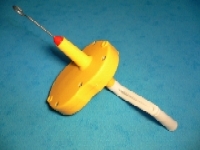 The adjustable button (kit pictured) is a neat package that gives the modeller the ability to trim thrust direction. Please see the list below for our complete range of propellers. We have tractors, pushers, rigid and folding props of various size and pitch. Black plastic injection moulded wheels suitable for the smaller model. Diameters 10, 22, 25 and 32 mm. Neodymium magnets are the strongest permanent magnets known to man. We stock a selection of useful sizes between 3 and 10 mm diameter.